Ellison 3-Piece Comforter Set Just $19.99! Down From $80! 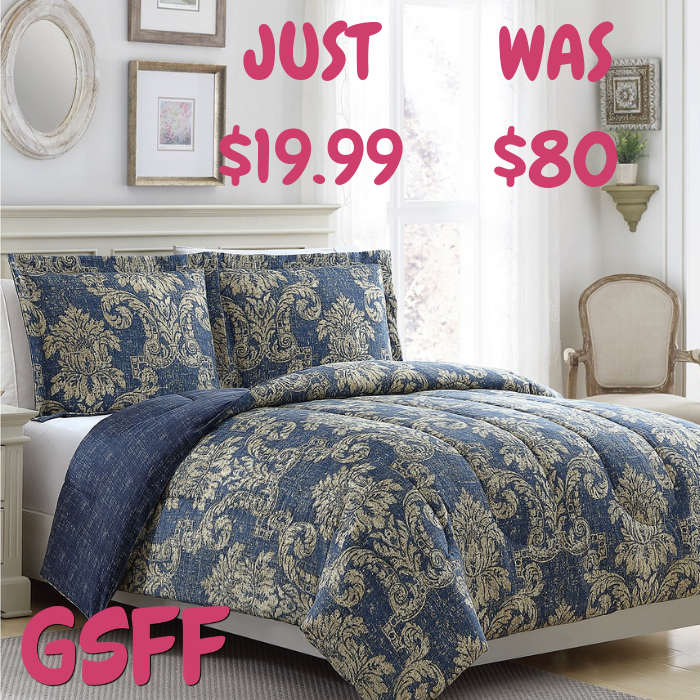 You are here: Home / Great Deals / Ellison 3-Piece Comforter Set Just $19.99! Down From $80! Silhouetted flowers in white and blue tones atop a dusty blue ground lend the New Traditional comforter set a relaxed ambience. Each set includes one comforter and one or two shams.